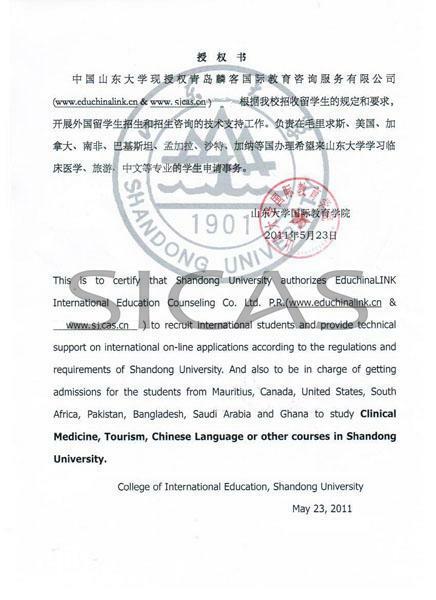 Shandong University is one of the earliest universities that admitted international students to study towards M.B.B.S degree (Bachelor of Medicine & Bachelor of Surgery) in clinical medicine in China. The training program was launched in 2002 at SDU. The aim of this program is to train highly qualified physicians and surgeons through lecturing, laboratory teaching and supervised clinical practice. Two teaching modes, in Chinese and English respectively, are offered. Among the current international students of over 300 at SDU, most select the English teaching mode. During the first three years, students mainly study basic knowledge of humanity, culture and medicine. In the next two years Clinical courses are given by clinicians and enhanced training through affiliated teaching hospitals. The last year is for clinical rotations in different departments. Courses of study are delivered and examined fully in English. We have a good reputation among international students for the high-quality teaching program. MBBS graduates will not only achieve the requirement of a bachelor of medical knowledge, gain clinical skills and good occupational qualities but also gain the medical knowledge requirements from their countries of origin as well as the international society. The current international studentspopulation of 340 at SDU come from 32 countries and regions in Asia, Europe, America, Africa and Australia, etc. The program intends to foster practical physicians with solid basic theory, knowledge and skills of preclinical, clinical and preventive medicine. Course of study is delivered and examined fully in English. PBL teaching and pre- probation are taken frequently and repeatedly to enable the students skillful practice ability. 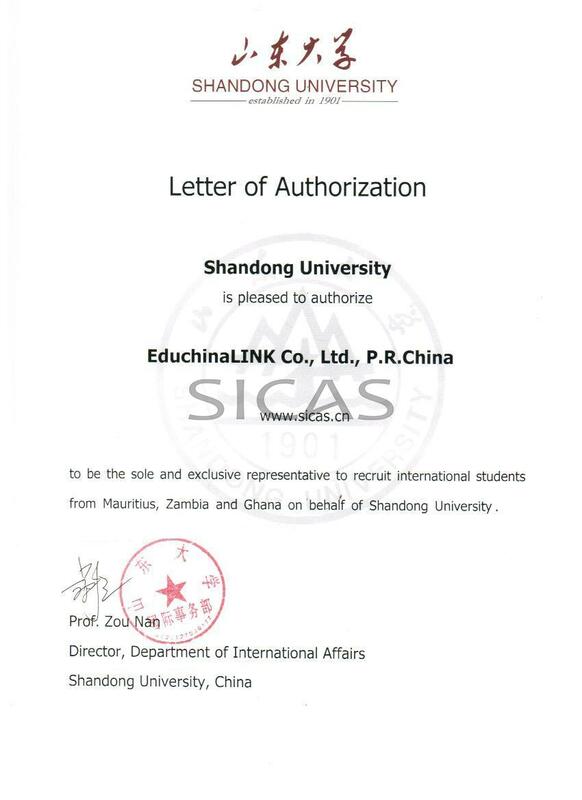 SDU highly recommends international students to do the internship in China, the university would help students choose one from the affiliated hospitals. There are no requirements on HSK level before internship, but students have to pass the Chinese Language Proficiency Test held by the university. The tuition fee for internship in China is RMB 45,000 and students will live in the university for the affiliated hospitals are not far away.